Located on the border between Massachusetts and Rhode Island, Southern Light Solar is your local solar installer providing Residential, Commercial and Utility Scale engineering, procurement and contracting services. Clean Energy Design offers custom designed grid-tied and off-grid solar energy solutions for individuals, businesses, institutions and more. We offer turnkey services including system design, finance options, engineering, document preparation, installation, monitoring and maintenance services. Our team carefully analyzes every specific site and clients needs for each project. We then design and install high performance solar systems and maximize energy production and financial benefits for our clients. We take care of all documentation and permitting throughout the process and monitor your systems performance after installation to assure that you are getting the most from your investment. 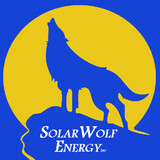 Our company has been serving Cape Cod and the south-coast region for over twenty years and we have a long proven track record of productive, creative solar design solutions for all situations. We specialize in energy efficiency, system integration and designing & installing high performance, quality photovoltaic (PV) and solar thermal systems. With our knowledge of multiple technologies, attention to detail and quality workmanship, our customers are assured that every project is superior in performance, aesthetics, and longevity. It is important to us that our clients are well educated, which enables them to make informed, financially sound choices for their energy needs. 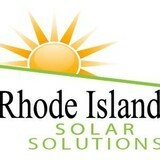 PLEASE CALL OR EMAIL FOR A COMPLIMENTARY SOLAR EVALUATION!! Along with off-grid solar, wind and hybrid energy systems that include batteries and backup generators, there are also grid-tied solar and wind operations. Grid-tied systems are attached to your Newton, MA utility company so if you produce more energy than you use, your meter goes down and you build up energy credits. 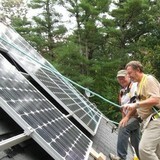 Find solar energy contractors in Newton, MA on Houzz. Search the Professionals section for Newton, MA solar energy contractors or browse Newton, MA photos of completed installations and look for the solar energy contractor’s contact information.